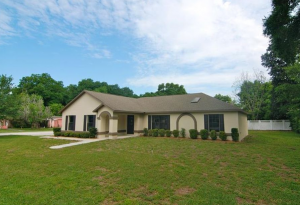 In April 2018 we had a seller reach out to us regarding selling his house in Clermont, FL. He filled out the form on our website and stated that he lived in the UK but needed to sell his house fast in Clermont. He indicated that the house was in fair condition and that he needed to get at least $225,000 for the property. I responded and told him that we buy houses Clermont and that it was possible that we could pay $225k depending on the condition of the property. I was out of town at the time, so I reached out to my friend and fellow real estate investor, Gerry. I knew that Gerry lived in Clermont, right around the corner from the property. Gerry is also a cash home buyer in Clermont, so I figured he could go look, and if it was something he was interested in, he could go ahead and buy it. Gerry agreed to go look at the house, and he reported back that it wasn’t a good situation. Here are some photos that Gerry took when he first looked at the property. 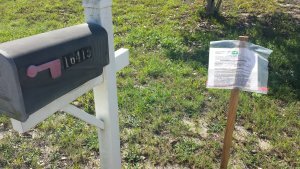 Notice the code enforcement violation posted in the front yard. A notice in the front yard from Lake County code enforcement. Gerry also did some research and found that the seller was being fined over $1,000 per day for the pool and other nuisances and prohibited conditions. We did the math and it added up to over $800,000 in code enforcement liens! Not to mention the additional liens from the HOA which were also adding up by the day! 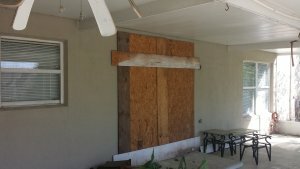 The sliding glass door had been smashed. The pool was in rough shape, and would most likely need to be bulldozed along with the deck. Once Gerry got inside, he also found that it was in poor condition. It would need a new kitchen, new flooring, new paint, new sliding glass doors, new fixtures. Not to mention the entire lot would need to be resodded and have the irrigation redone to comply with HOA requirements for St. Augustine grass. The pool was in pretty rough shape! All in all, the property was a complete disaster and the seller’s situation was getting worse by the day as the liens and fines steadily increased. The seller had zero equity on paper and was headed straight for a foreclosure auction when Lake County finally foreclosed on the liens. Kudos to Gerry for doing all of the research and legwork on this property while I was out of town. 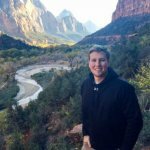 He even reached out to Lake County and got them to agree to a reduced settlement for the code enforcement liens, provided he was able to get everything resolved within 60 days on closing – no easy feat! I told Gerry to make an offer and he came back with $120,000. That was the best he could do given the poor condition of the property, the amount of the liens (even at the reduced number the county agreed to), and the county’s stipulation that the entire mess had to be cleaned up within 60 days. I emailed the offer to the seller. The seller initially responded and told me the offer was too low. He said he was talking with several other we buy houses Clermont companies they told him they could do better. I told him that he should do whatever was best for him and waited to hear back. Finally, 3 months later, the seller reached out to us again. He told me that he had been dealing with several other cash home buyers in Clermont and that they all had put the property under contract and then backed out before closing. He was very irritated that they had wasted so much of his time. All while the liens and fines were increasing by the day. He decided to come back to us, even though our offer was lower because we guaranteed that we would close on the property. At this point, he just wanted to be done with the whole thing. Since it had been 3 months since we had run the numbers, Gerry reached out to Lake County again to see if they were still interested in his deal. They were, and we put the property under contract for the promised $120,000. Gerry closed on the property as soon as the title work was completed. Gerry completed the renovations and just listed the property for sale. Check out the house now! He was even able to save the pool! Gerry just listed the house for sale after the renovations were completed! Gerry was even able to save the pool! This situation turned into a win-win for everyone involved. That’s what we like to see happen. The seller is happy because he got cash for his property and doesn’t have to deal with the code enforcement liens and the repairs. Gerry is happy because he got a great property to flip and make money for his business. I’m happy because we were able to solve the seller’s problem (all while I was out of town) and get my friend Gerry a great deal on a distressed property. Lake County is happy because the code enforcement issues have been cleared up and they no longer have to foreclose. The HOA is happy because the property has been cleaned up and is no longer an eyesore for the community. This deal also shows how not all we buy houses Clermont companies are created equal. 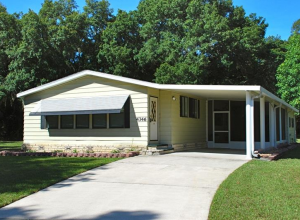 The seller dealt with several other “professional cash home buyers” in Clermont and none of them could deliver on their promise of solving his problem. They all wasted his time and backed out at the last minute, leaving the seller hung out to dry. All the while, the seller’s situation was getting worse as the liens and fines increased by over $1,000 per day. Complicated situations like this demand experience. 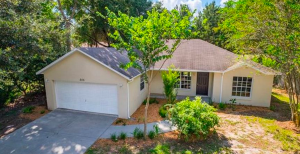 There are a lot of other we buy houses type companies that have popped up in Clermont and the rest of Central Florida since the market has gotten better. A lot of these companies were created by opportunistic folks looking to make a fast buck in real estate. They don’t have the experience or knowledge to deal with situations like this. They advertised a solution but couldn’t deliver. Luckily, my friend Gerry was able to take the lead on this deal when I was out of town and make it happen. He’s a smart guy and a savvy investor. He’s been in the real estate business longer than I have, and I’m grateful to have him as a resource. Having connections and partners like Gerry allow My Florida Home Buyers to better serve our clients and solve their real estate problems. 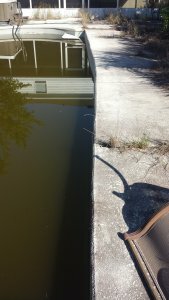 If you have a problem house in Clermont, Lake County, or anywhere in Central Florida please reach out to see if we can help. We buy houses Clermont and we’d be happy to evaluate your situation and give you a fast, cash offer.